Initially I intended to write a poem for this festive day, but decided to go in a different direction. 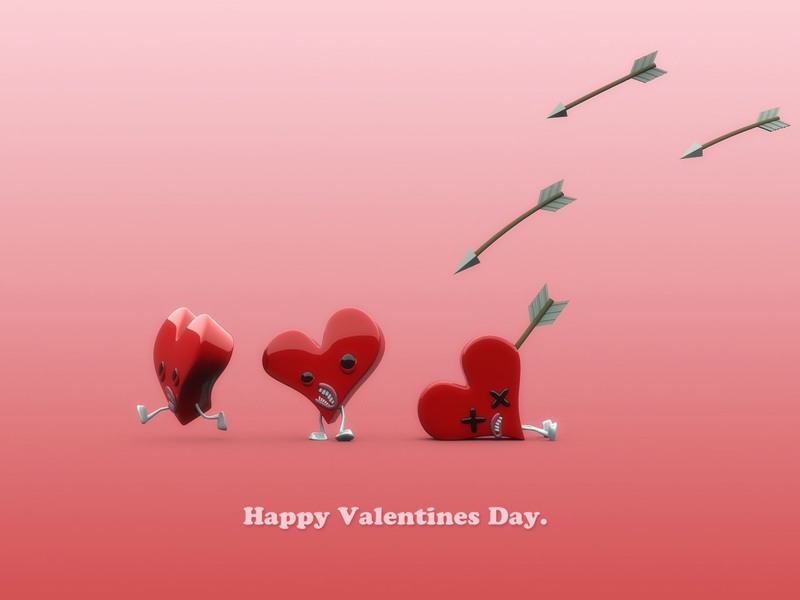 Today, February 14th, is known around the world as Valentine’s Day. It is a day celebrated by giving our significant others greeting cards(originally called Valentines), flowers, and confections. On this day people are prompted to reflect on the love they have for a special someone or someones and as such express that affection. However, over the years this day has also served as a reminder for many single individuals (mostly women), of how alone they are and as such this day can be quite bitter-sweet. But has anyone actually stopped to think about how this day originated? Valentine’s Day got its namesake from one or more Christian martyrs whose name was Valentinus. For those of you who aren’t familiar with what a martyr is you can click here. Any who, Saint Valentines was persecuted and killed because he refused to convert to Roman Paganism. That’s it. End of story. There were no romantic elements associated with him whatsoever. He wasn’t killed because he “believed in a thing called love” (hehe score for The Darkness reference. Over 1000 years later however, a man by the name of Geoffrey Chaucer(maybe you’ve heard of him), got the crazy notion to associate this day with romantic love in a poem he wrote in 1382, and because people usually don’t do their homework, they were bamboozled into thinking this should be a customary practice. Here we are centuries later and this holiday has turned into a billion dollar business fleecing many for their hard-earned dollars. Please don’t misunderstand, I’m not bitter about today in any way. To be honest I think the initial concept behind this idea is a very noble one, but like most other holidays that we celebrate I believe it has lost most of its meaning in favor for commercialism. Sites like Proflowers, FTD and Hallmark are making a killing today (average sales ranging between $50 and $150) because people are spending 100’s of dollars on flowers, candy and jewelry. Think about this, I’m not sure what it’s like in any other state, but here in Maryland on any giving day I can drive by a little Mexican man selling a bouquet of flowers for only $5. Greeting cards are always on sale in most stores and chocolates and sweets are never in short supply. So what’s stopping us from showing our love each and every day? Don’t you think your significant other would appreciate the gesture on a regular basis instead of one misinterpreted day a year? I guarantee that if people put as much effort into showing love to their significant others all year round like they are doing today, the idea of Valentine”s Day would become obsolete. This entry was posted in Articles and tagged advice, couples, dating, flowers, kissing, love, marriage, people, relationships, valentines. Bookmark the permalink. I couldn’t agree more. I am not big on cards, flowers, and candy. If you show me you care about me on a regular basis then I’m a happy woman. I’m not talking about spending money on me, I’m talking about asking about the book I’m reading with genuine interest, caring enough to listen and then follow up with me, massaging my neck when you see me wincing, holding me when I’m sad, and respecting me with your actions and words. That means so much more to me then any card you find that I’ll throw in a box and forget about or flowers you buy that will die 4 days later. Sure, it is WAY overdone, commercialized and has no solid origination. That doesn’t matter. It is a day when everyone should show the people in their lives that they are loved. If you don’t, isn’t that just a slap in their face(s)? Besides, do YOU show YOUR significant other this kind of affection on a “regular” basis? Why do we need a day for that? I’m not saying you have to go all out every day but if people need a particular day in order to know that they are loved then something is wrong with your relationship and society in general. I don’t disagree with anything you are saying, but I do know that if I were in a relationship I would do something special for my man on VDay. It wouldn’t be the only time, but it would absolutely happen. But hey, you and I have COMPLETELY opposite views on love, relationships and respect.